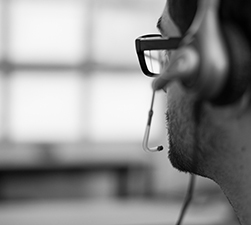 Our support team ensures that the entire infrastructure runs smoothly. We rely on professional and proactive monitoring in this respect, the redundant design of key components and an alarm organisation that can also react outside normal working hours. depending on their contract and the SLA definitions. Service management (incident, change and problem management) is built up on the basis of ITIL/ISO 20000 processes and designed for the cooperation of different providers for Multiprovider-Environment.